Gioacchino Antonio Rossini (February 29, 1792 — November 13, 1868) was an Italian musical composer who wrote more than 30 operas as well as sacred music and chamber music. His best known works include Il barbiere di Siviglia (The Barber of Seville), and "Guillaume Tell" William Tell (the overture of which is popularly known for being the theme song for The Lone Ranger). Rossini was born into a family of musicians in Pesaro, a small town on the Adriatic coast of Italy. His father Giuseppe was town trumpeter and inspector of slaughterhouses, his mother Anna a singer and baker's daughter. Rossini's parents began his musical training early, and by the age of six he was playing the triangle in his father's band. Rossini's father was sympathetic to the French, and welcomed Napoleon's troops when they arrived in Northern Italy. This became a problem when in 1796, the Austrians restored the old regime. Rossini's father was sent to prison, and his wife took Gioacchino to Bologna, earning her living as lead singer at various theatres of the Romagna region, where she was ultimately joined by her husband. During this time, Gioacchino was frequently left in the care of his aging grandmother, who was unable to effectively control the boy. Gioacchino remained at Bologna in the care of a pork butcher, while his father played the horn in the bands of the theatres at which his mother sang. The boy had three years instruction in the harpsichord from Prinetti of Novara, but Prinetti played the scale with two fingers only, combined his profession of a musician with the business of selling liquor, and fell asleep while he stood, so that he was a fit subject for ridicule by his critical pupil. Gioacchino was taken from Prinetti and apprenticed to a smith. In Angelo Tesei he found a congenial master, and learned to sight-read, to play accompaniments on the pianoforte, and to sing well enough to take solo parts in the church when he was ten years of age. At thirteen he appeared at the theatre of the Commune in Paër’s Camilla — his only public appearance as a singer (1805). He was also a capable horn player in the footsteps of his father. In 1807 the young Rossini was admitted to the counterpoint class of Padre P. S. Mattei, and soon after to that of Cavedagni for the cello at the Conservatorio of Bologna. He learned to play the cello with ease, but the pedantic severity of Mattei's views on counterpoint only served to drive the young composer's views toward a freer school of composition. His insight into orchestral resources is generally ascribed not to the teaching strict compositional rules he learned from Mattei, but to knowledge gained independently while scoring the quartets and symphonies of Haydn and Mozart. At Bologna he was known as "il Tedeschino" on account of his devotion to Mozart. Through the friendly interposition of the Marquis Cavalli, his first opera, La Cambiale di Matrimonio, was produced at Venice when he was a youth of eighteen. But two years before this he had already received the prize at the Conservatorio of Bologna for his cantata Il piantô d'armonia per la morte d’Orfeo. Between 1810 and 1813, at Bologna, Rome, Venice and Milan, Rossini produced operas of varying success. All memory of these works is eclipsed by the enormous success of his opera Tancredi. The libretto was an arrangement of Voltaire’s tragedy by A. Rossi. Traces of Paër and Paisiello were undeniably present in fragments of the music. But any critical feeling on the part of the public was drowned by appreciation of such melodies as "Mi rivedrai, ti rivèdrô" and "Di tanti palpiti," the former of which became so popular that the Italians would sing it in crowds at the law courts until called upon by the judge to desist. Rossini continued to write operas for Venice and Milan during the next few years, but their reception was tame and in some cases unsatisfactory after the success of Tancredi. In 1815 he retired to his home at Bologna, where Barbaja, the impresario of the Naples theatre, concluded an agreement with him by which he was to take the musical direction of the Teatro San Carlo and the Teatro Del Fondo at Naples, composing for each of them one opera a year. His payment was to be 200 ducats per month; he was also to receive a share of Barbaja's other business, popular gaming-tables, amounting to about 1000 ducats per annum. Some older composers in Naples, notably Zingarelli and Paisiello, were inclined to intrigue against the success of the youthful composer; but all hostility was made futile by the enthusiasm which greeted the court performance of his Elisabetta regina d'Inghilterra, in which Isabella Colbran, who subsequently became the composer’s wife, took a leading part. The libretto of this opera by Schmidt was in many of its incidents an anticipation of those presented to the world a few years later in Sir Walter Scott’s Kenilworth. The opera was the first in which Rossini wrote the ornaments of the airs instead of leaving them to the fancy of the singers, and also the first in which the recitativo secco was replaced by a recitative accompanied by a string quartet. In Il barbiere di Siviglia, produced in the beginning of the next year in Rome, the libretto, a version of Beaumarchais' Barbier de Seville by Sterbini, was the same as that already used by Giovanni Paisiello in his own Barbiere, an opera which had enjoyed European popularity for more than a quarter of a century. Paisiello’s admirers were extremely indignant when the opera was produced, but the opera was so successful that the fame of Paisiello's opera was transferred to his, to which the title of Il barbiere di Siviglia passed as an inalienable heritage. 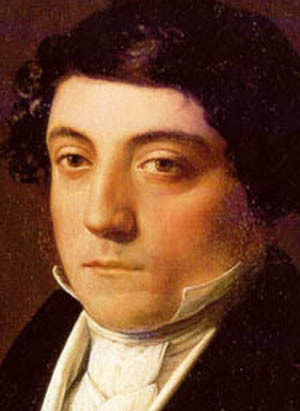 Between 1815 and 1823 Rossini produced twenty operas. Of these Otello formed the climax to his reform of serious opera, and offers a suggestive contrast with the treatment of the same subject at a similar point of artistic development by the composer Giuseppe Verdi. In Rossini’s time the tragic close was so distasteful to the public of Rome that it was necessary to invent a happy conclusion to Otello. Conditions of stage production in 1817 are illustrated by Rossini’s acceptance of the subject of Cinderella for a libretto only on the condition that the supernatural element should be omitted. The opera La Cenerentola was as successful as Barbiere. The absence of a similar precaution in the construction of his Mosè in Egitto led to disaster in the scene depicting the passage of the Israelites through the Red Sea, when the defects in stage contrivance always raised a laugh, so that the composer was at length compelled to introduce the chorus "Dal tuo stellato Soglio" to divert attention from the dividing waves. In 1822, four years after the production of this work, Rossini married singer Isabella Colbran. In the same year, he directed his Cenerentola in Vienna, where Zelmira was also performed. After this he returned to Bologna; but an invitation from Prince Metternich to come to Verona and "assist in the general re-establishment of harmony" was too tempting to be refused, and he arrived at the Congress in time for its opening on October 20, 1822. Here he made friends with Chateaubriand and Madame de Lieven. In 1823, at the suggestion of the manager of the King’s Theatre, London, he came to England, being much fêted on his way through Paris. In England he was given a generous welcome, which included an introduction to King George IV and the receipt of £7000 after a residence of five months. In 1824 he became musical director of the Théatre Italien in Paris at a salary of £800 per annum, and when the agreement came to an end he was rewarded with the offices of chief composer to the king and inspector-general of singing in France, to which was attached the same income. The production of his Guillaume Tell in 1829 brought his career as a writer of opera to a close. The libretto was by Etienne Jouy and Hippolyte Bis, but their version was revised by Armand Marrast. The music is remarkable for its freedom from the conventions discovered and utilized by Rossini in his earlier works, and marks a transitional stage in the history of opera. In 1829 he returned to Bologna. His mother had died in 1827, and he was anxious to be with his father. Arrangements for his subsequent return to Paris on a new agreement were upset by the abdication of Charles X and the July Revolution of 1830. Rossini, who had been considering the subject of Faust for a new opera, returned, however, to Paris in the November of that year. Six movements of his Stabat Mater were written in 1832 and the rest in 1839, the year of his father's death. The success of the work bears comparison with his achievements in opera; but his comparative silence during the period from 1832 to his death in 1868 makes his biography appear almost like the narrative of two lives — the life of swift triumph, and the long life of seclusion, of which biographers give us pictures in stories of the composer's cynical wit, his speculations in fish culture, his mask of humility and indifference. His first wife died in 1845, and political disturbances in the Romagna area compelled him to leave Bologna in 1847, the year of his second marriage with Olympe Pelissier, who had sat to Vernet for his picture of "Judith and Holofernes." After living for a time in Florence he settled in Paris in 1855, where his house was a centre of artistic society. He died at his country house at Passy on November 13, 1868 and was buried in Père Lachaise Cemetery, Paris, France. In 1887 his remains were moved to the church of Santa Croce in Florence, where they now rest. In his compositions Rossini plagiarized even more freely from himself than from other musicians, and few of his operas are without such admixtures frankly introduced in the form of arias or overtures. A characteristic mannerism in his musical writing earned for him the nickname of "Monsieur Crescendo." Rossini is also well known for some personal qualities, which gave origin to several anecdotes. For example, he was supposed to have composed his best known opera, "Barbiere", in a very short time, because as usual he was late in respecting the delivery date. Some say he did it in seven days; others, like Lodovico Settimo Silvestri, suggest in fourteen. Whatever the precise length, it was in any case very little time for such masterpieces. He worked in his bedroom, wearing his dressing-gown. A friend pointed out that it was undoubtedly funny that he had composed the "Barber" without shaving himself for such a long time. Rossini promptly replied that if he had to get shaved, he would have had to get out of his house, and he therefore would never had completed his opera. Another story of Rossini composing in the comfort of his bed: One day an impresario went visiting him and found him writing music in his bed. Rossini, without even looking at him, begged him to collect a sheet that had fallen from the bed to the floor. When the impresario picked it, Rossini gave him the other sheet he was writing and asked him: "Which one do you think is the better?" "But... they are completely alike..." said the embarrassed impresario. "Well... you know... it was easier for me to write another one than to get off the bed and search and pick the first one and then come back to bed..."
Wait until the evening before opening night. Nothing primes inspiration more than necessity, whether it be the presence of a copyist waiting for your work or the prodding of an impresario tearing his hair. In my time, all the impresarios of Italy were bald at 30. . . .
For the Barbiere, I did better: I did not even compose an overture, I just took one already destined for an opera called Elisabetta. Public was very pleased. Gioacchino Rossini was one of the lucky few composers to receive fame and fortune for his work during his lifetime. Today, well over a hundred years after his death, his operas are still among the favorites of opera lovers everywhere. 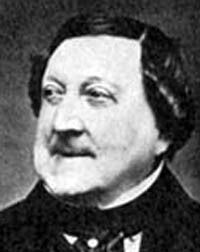 Gioacchino Antonio Rossini was a leap year baby. He was born on February 29, 1792, in Pesaro, Italy. His father, Giuseppe, played trumpet and French horn, first for the military and later in orchestras. Rossini’s mother, Anna, was a singer. She kept up her performing career after her son was born. In 1801, young Gioacchino started playing the viola in a carnival orchestra. He also studied French horn, singing, and composition. When the family moved to Bologna, he studied harpsichord, violin, viola, cello, and composition. He also began singing professionally. 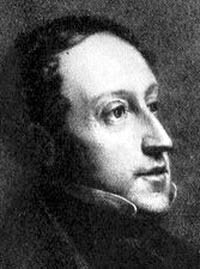 In 1806, Rossini began writing arias (songs) to be added to other composers’ operas. In 1810, a theater in Venice commissioned him to write a one-act comic opera after the original composer had backed out. Rossini produced seven operas in sixteen months between 1811 and 1813. In 1812, he had the opportunity to compose for La Scala, Italy’s most famous opera house. In 1814, the artistic director of the opera house Teatro S Carlo in Naples offered Rossini a contract to compose operas for the company. Rossini was delighted with the prospect of financial security and readily accepted. The Barber of Seville, Rossini’s most beloved opera, was first performed in 1816. Its premiere in Rome, however, had many problems. There were mishaps onstage, and the audience was disruptive because they didn’t like Rossini’s new treatment of a familiar story. Rossini was the conductor at that performance, and he was so affected by the negative response that he never conducted The Barber of Seville again. Cinderella (La Cenerentola in Italian), another popular opera, was written by Rossini in about three weeks in 1817. It is unusual because Cinderella is played by a contralto (low-voiced woman) rather than a soprano (high-voiced woman). Rossini cleverly changed the type of song Cinderella sings to show her rise from serving girl to princess. Her first aria is simple, but after she tries on the glass slipper, she sings a much fancier aria. 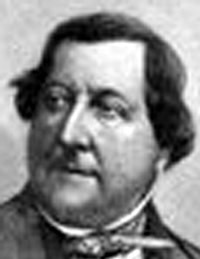 In 1824, Rossini moved to Paris. With government support, he composed operas, directed the Théâtre Italien, and mastered the French language. William Tell, Rossini’s last opera, was written in 1829. He had written thirty-nine operas in nineteen years! 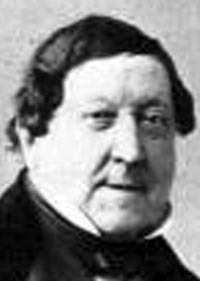 After the premiere, when the French government was becoming increasingly unstable, Rossini returned to Bologna. Although he lived almost another 40 years, he never wrote another opera. Nobody knows exactly why he stopped, but the combination of mental fatigue and poor health could have contributed to the years of quiet. In 1855, he and his wife moved back to France. There his health improved and he started enjoying life more among other interesting people in the arts in Paris. He even began to compose again, but mostly he just enjoyed his retirement. Rossini died on Friday, November 13, 1868. 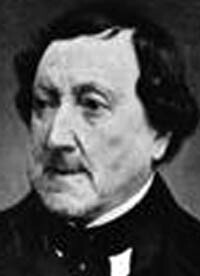 Gioacchino Antonio Rossini was born at Pesaro on February 29, 1792, the son of a horn-player. The leap-year advent took his humorous fancy. He counted his birthday only once in four years, and, when he was seventy-two, he facetiously invited his friends to celebrate his eighteenth birthday. He made his stage debut with an opera when he was eighteen, and had written five operas before he was twenty. When twenty-one, his "Tancredi" was produced at Venice, to achieve an instant success, and when he followed with "L’Italiana in Algeri," the Italians hailed him as their greatest living opera composer. Then, in 1816, came his triumph with "Il Barbiere di Seviglia," the crown of all Italian buffo operas. He had scant respect for most of his brother composers. He seldom went to the Opera, but he went once to hear "Tannhauser," and when asked his opinion of it, said: "It is too important and elaborate to be judged after a single hearing, but I shall not give it a second." Somebody once handed him the score of another Wagner music-drama, and presently remarked that he was holding the music upside down. "Well," he replied, "I have already read it the other way, and am trying this, as I can make nothing of it." He conceived the idea that Meyerbeer did not like him, and meeting his brother composer one day, he laid off a long catalogue of his (Rossini’s) physical ills, declaring he felt sure he had not long to live. After they parted, a friend who had been with Rossini remonstrated with him for his levity. "Well," he said, "it is every good man’s duty to contribute to the peace and comfort of his fellow-man; and you know nothing would delight Meyerbeer more than to hear of my early decease." Such was the composer of "The Barber" and "Tell." He had a tremendous vogue at one period, and even overshadowed Beethoven. The number of his operas, mostly forgotten now, is prodigious. But the fever long raged. Of thirteen operas performed at the King’s Theatre, London, in 1826, eight were by Rossini. All over Europe Rossini was conqueror -- in popularity the Wagner of his time. Italian composer noted for his operas, particularly his comic operas, of which The Barber of Seville (1816), Cinderella (1817), and Semiramide (1823) are among the best known. Of his later, larger scale dramatic operas, the most widely heard is William Tell (1829). 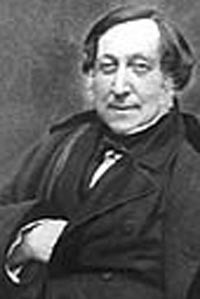 Gioacchino Rossini was the son of Giuseppe Rossini, an impoverished trumpeter who played in miscellaneous bands and orchestras, and Anna Guidarini, a singer of secondary roles. Thus Rossini spent his entire childhood in the theatre. Though a lazy student, the young Rossini found it easy to learn to sing and play. At the age of 14 he entered Bologna's Philharmonic School (now the G.B. 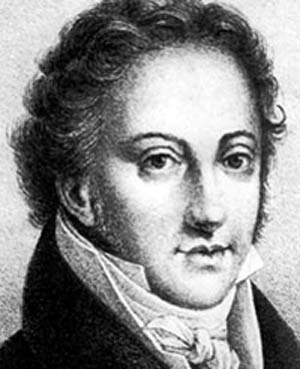 Martini State Conservatory of Music) and composed his first opera seria—Demetrio e Polibio (1806; staged in 1812)—for the Mombelli, a family of singers. At 15 he had learned the violin, horn, and harpsichord and had often sung in public, even in the theatre, to earn some money. When his voice broke and he was unable to continue singing, Rossini became an accompanist and then a conductor. He had already realized the importance of the German school of composition, perceiving the new elements by which Joseph Haydn and Wolfgang Amadeus Mozart had enriched music. These influences can be found in the early cantata he wrote for the Philharmonic School, performed there in 1808. During the next 20 years (from 1808) this genial lazybones was to compose more than 40 operas. By taste, and soon by obligation, Rossini threw himself into the genre then fashionable: opera buffa (comic opera). His first opera buffa, La cambiale di matrimonio (1810; The Bill of Marriage), was performed in Venice and had a certain success, although his unusual orchestration made the singers indignant. Back in Bologna again, he gave the cantata La morte di Didone (1811; The Death of Dido) in homage to the Mombelli family, who had helped him so much, and he scored a triumph with the two-act opera buffa L'equivoca stravagante (1811; The Extravagant Misunderstanding). The following year, two more of his comic operas were produced in Venice. 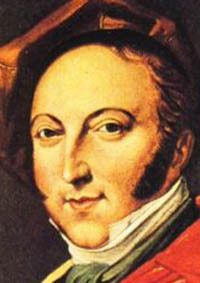 Rossini had already broken the traditional form of opera buffa: he embellished his melodies (he was the true creator of bel canto, a florid style of singing), animated his ensembles and finales, used unusual rhythms, restored to the orchestra its rightful place, and put the singer at the service of the music. In 1812 Rossini wrote the oratorio Ciro in Babilonia (Cyrus in Babylon) and La scala di seta (The Silken Ladder), another comic opera. The same year, Marietta Marcolini, who had already sung in Rossini's operas and who was interested in the young composer, recommended Rossini to the committee of La Scala opera house in Milan. It was under contract to them that he wrote La pietra del paragone (1812; The Touchstone), a touchstone of his budding genius. In its finale, Rossini—for the first time—made use of the crescendo effect that he was later to use and abuse indiscriminately. By this time Rossini's experience in writing seven operas and several cantatas and his intimate contact with the theatre had given him a profound knowledge of his profession. Singers no longer held terrors for him. He was now ready for his major works. Venice, the most refined city in Italy, was to offer him his true glory. After the comic opera Il signor Bruschino (1813), written for the San Moisè Theatre, he next wrote—for La Fenice—his first serious opera, Tancredi (1813), in which he tried to reform opera seria (the formula-ridden, serious operas of the 18th century), and he composed an authentically dramatic score. This work, spirited and melodious, was an instant success. Tancredi's famous song, “Di tanti palpiti,” was whistled all over town. The success of L'Italiana in Algeri (1813; The Italian Girl in Algiers) followed, showing further refinements in his reforms of opera buffa. These two successes opened wide the doors of La Scala. With Aureliano in Palmira (1814) the composer affirmed his authority over the singers; he decided to prescribe and write the ornaments for his arias, but the work was not a success. After L'Italiana he wrote Il Turco in Italia (1814; The Turk in Italy) for the Milanese and a cantata for Princess Belgioioso, “one of the most likeable of protectresses,” as the French novelist Stendhal referred to her. His next work, Sigismundo (1814), was a failure. Rossini's fame soon spread to Naples, where the reigning impresario was Domenico Barbaia, an ambitious former coffeehouse waiter, who by gambling and running a gaming house had amassed a fortune and was now in charge of the two great Neapolitan theatres. 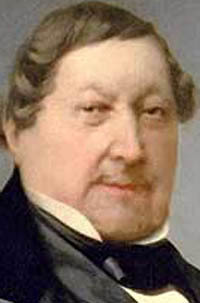 Barbaia realized Rossini's growing fame and went to Bologna to offer him a contract. Impressed by the terms of this contract—security, two operas a year—as well as by Barbaia, a millionaire rather than the customary fourth-rate impresario on the verge of bankruptcy, Rossini did not hesitate to accept. How could anyone refuse a tempting impresario whose favourite was none other than the imposing diva Isabella Colbran? Colbran's first Rossini opera, Elisabetta, regina d'Inghilterra (1815; Elizabeth, Queen of England), was a triumphant success. Rossini admired Colbran very much and soon fell in love with her. The brilliant success of Elisabetta prompted an invitation from Rome to spend the carnival season of 1816. The first of Rossini's Rome operas was unsuccessful. So was the second, Almaviva, soon to become Il barbiere di Siviglia (1816; The Barber of Seville). The Romans, who knew and loved Giovanni Paisiello's version of Eugène de Beaumarchais's play, took a dislike to this new setting, but when it was given elsewhere in Italy it was received with unbounded success. Written in 16 days, the work is a piece of inspired inventiveness that has delighted opera lovers ever since. There followed La cenerentola (1817; Cinderella). As with The Barber, this work uses a contralto for the heroine's role (though both roles are often sung by sopranos); it proved no less successful. In between these two comedies came Otello (1816; Othello), a setting of William Shakespeare's play that held the stage until superseded by Giuseppe Verdi's greater opera of the same name. La gazza ladra (1817; The Thieving Magpie), a semiserious work, was a triumph in Milan. Armida, a grand opera requiring a trio of tenors and a dramatic soprano (Colbran), appeared in 1817. Rossini was now finding interpreters that suited his music. Colbran, the tenor Manuel Garcia, the bass Filippo Galli (“the most beautiful voice in Italy”), and the contralto Benedetta Pisaroni (whose art had no equal in depth) were his usual exponents and carried forward his art of bel canto. La donna del lago (based on Sir Walter Scott's poem “The Lady of the Lake”) failed at its premiere in 1819 but soon came into favour. After several more-or-less successful works, he left Naples for Vienna, along with Colbran (whom he had just married), anxious to meet Ludwig van Beethoven. Disappointed by the economic situation of the composer of Fidelio, he returned to Venice, where he attempted to crown his Italian career with Semiramide (1823). The old-fashioned Venetians, however, did not understand the astonishing work, his longest and most ambitious, and so he resolved not to write another note for his countrymen. Following his resolution, he decided to leave Italy. was then 31 years old and in his prime. His countenance revealed a lofty and congenial expression. His subtle, quick penetrating eye held one magnetically before him. His smile, benevolent and caustic at the same time, reflected his whole disposition. The clear line of his aquiline nose, his vast and prominent brow, which his prematurely receding hairline entirely revealed, the even oval of his face enclosed in jet-black sideburns, all formed a kind of virile and fascinating beauty. He has a marvelously shaped hand, which he displayed somewhat coquettishly through his cuff. He dressed in a simple manner, and, under his clothes, which were more proper than elegant, the appearance of a newly disembarked provincial into the capital. If the old nicknamed him “Monsieur Crescendo,” the young very quickly paraded their admiration for him. Paris was then the centre of the world and Rossini knew it. After some of his works had been staged, he composed Il viaggio a Reims (“The Journey to Reims”), a cantata improvised for the coronation of Charles X. For a long while Rossini hoped to modify his style: to replace the comparative artificiality and coldness of florid opera coloratura with declamatory and lofty singing—that is, with truth and intensity. In order to do that, he also had to reform the orchestra and give more importance to the chorus. Thus appeared Le Siège de Corinthe (The Siege of Corinth, 1826), a revision of the earlier Maometto II (1820), which was saluted by the prominent composer Hector Berlioz. Le Siège was followed by Moïse (Moses, 1827) and Le Comte Ory (Count Ory, 1828), an adaptation of opera buffa style to French opera. Rossini's final opera, Guillaume Tell (William Tell), is on the noble themes of nationalism and liberty, and his music is worthy of the elevated subject. The Parisian public gave him an ovation, and, in a single work, he had responded to all the critics in the most elegant manner. Then he decided, at the age of 37, not to write again for the theatre. Tell was to have been the first of five operas for the Opéra, but the new government following the Revolution of 1830 set aside Rossini's contract. The reasons for his musical silence remain only suppositions. Some cite his legendary laziness as the cause, while others point to the Parisian hostility to his work and Rossini's resulting sulkiness. Another cause might have been his jealousy over the Parisian success of the opera composer Giacomo Meyerbeer. In 1845, Colbran died. 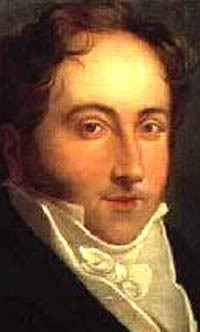 In 1847 Rossini married Olympe Pélissier. During his retirement he had written, returning to his first love, some religious pieces: the Stabat Mater (1832) and Petite messe solennelle (1864). He also wrote a few songs and piano pieces but never agreed to their publication. After a period in Italy, he returned to Paris in 1855, never again to leave it. His parents being deceased, his new wife less demanding than the preceding one, and he himself a wealthy man whose retirement was assured, Rossini gave way to the sweetness of life and to being a wise man who permitted himself to shine in society with a few clever expressions and witticisms. His bons mots, in fact, are legendary, as were his caustic wit and low humour. At his Paris home and later at his villa in Passy, Rossini gave superb gourmet dinners attended by many of the greats of the musical and literary world of the mid-19th century. In 1860 the renowned German composer Richard Wagner visited him, and their fascinating conversation was recorded by Wagner in his essay “Eine Erinnerung an Rossini” (“A Memory of Rossini”). For years Rossini was known virtually only by the omnipresent Barber of Seville and an occasional revival of William Tell. From the 1950s more and more of his operas were revived, particularly at festivals, and nearly always with public and critical acclaim.